148 horses have been killed racing or training on the Santa Anita track over the past three years. That’s 148 horses killed racing or training on the Santa Anita track over the past three years (not including, of course, the recent deaths). At all California tracks during this same period, 435 dead. Again, just on-track. Is this what is to pass for “progress” as cited by the Board chair in the most recent annual report? But more to the point, where was (is) the outrage over those numbers, those dead horses? Where was (is) the national media (who at the moment is allowing itself to be distracted by Lasix)? 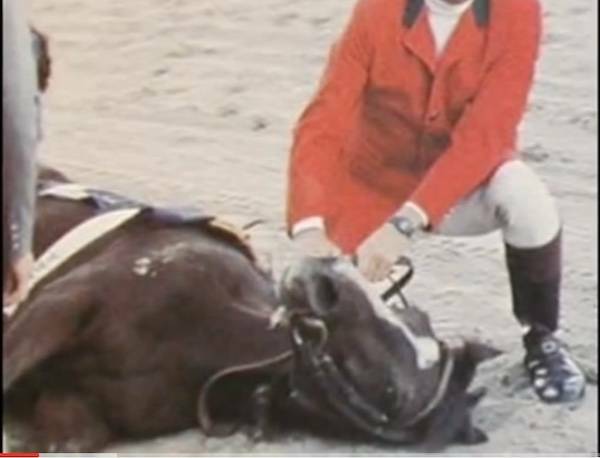 The story here is that horseracing kills horses because said killing is built-in to what they do. And here’s why.